Can I just say.... BRILLIANT!!! I have been trying to find something new to do with my students. They are Spanish 2 and I feel like they are bored out of their minds. I'm bored, anyway. That's usually good indication. This is such an awesome idea. I don't know if I can implement it fully this late in the school year but I am definitely doing something like this!! I am glad you like it! I can't take credit, as I have just built on the great work of others! I do not think it is too late to implement & it would be a fu way to spice up the end of the year! Thanks for sharing the information of Spanish course. Learning Spanish will help you in many different ways. You will find greater possibilities at work place, in your personal life and more. While searching for a good Spanish teacher; makes sure your Spanish tutor is capable enough to deliver his or her knowledge effectively. Hi, Nice Blog.It's really helpful for us. Keep Sharing such important things. How do you keep track of what they have done? How do you know if they repeat in a quarter? What does your 'community' option mean? 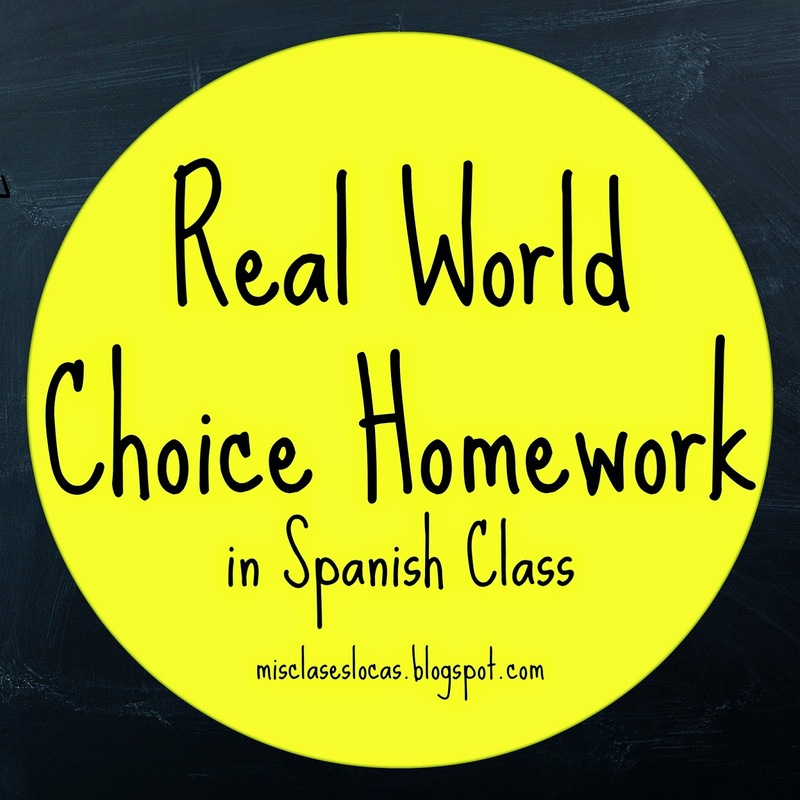 I'm looking to use real-world homework and an interactive notebook next year. Thanks for the information! To be honest, I do not keep track if they repeat in a quarter. It is all on honesty and with so many options most would not even try to repeat. If you were really concerned about this you could have them submit the list each time crossing out or highlighting what they have done and when. 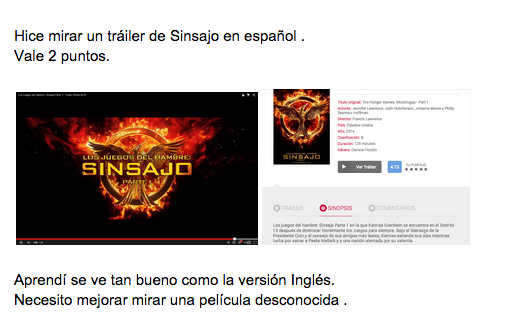 The community option is the five point option which basically requires them to use their Spanish with someone else. 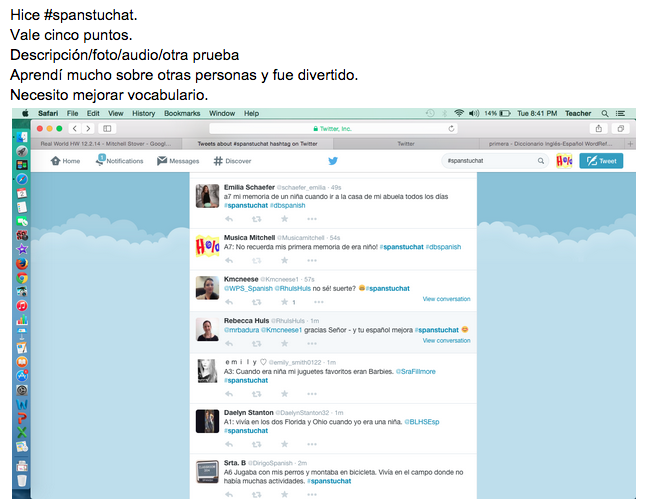 Most of my classes chose to participate in #spanstuchat. For their last reflection of the quarter I ask they included what their 5 point option was. Great! 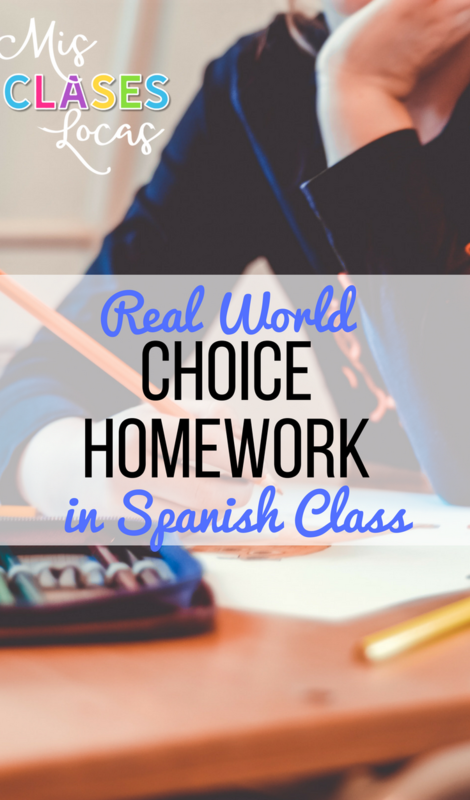 I ran into the same problem with Real World Homework. Everything worked out great but at the end I assigned too much. I love your idea on Google! I have google too! Hi there! 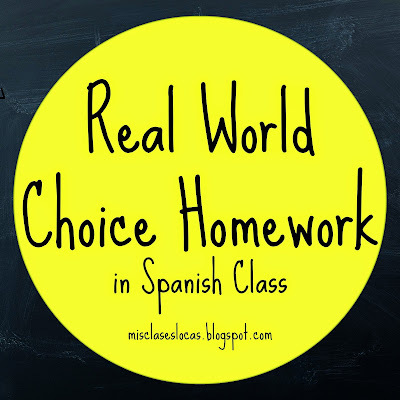 I just tried to use your link for your choice homework, as I also teach exploratory Spanish, but it doesn't work. Is there any way I could get that? Thank you so much! I just fixed it. Thank you for letting me know! This looks fantastic! Just the thing I have wanted to implement. I would like to ask about the "Hice" response? This is referring to the activity option they completed? What do you do with the kids who aren't on social media? The kids whose parents don't want them to have a Twitter or whatever? They just have to choose other options? Correct. That is what is great about choice!